Water Saving Lawn Sprinkler Products And Services SAVE Time and Money! 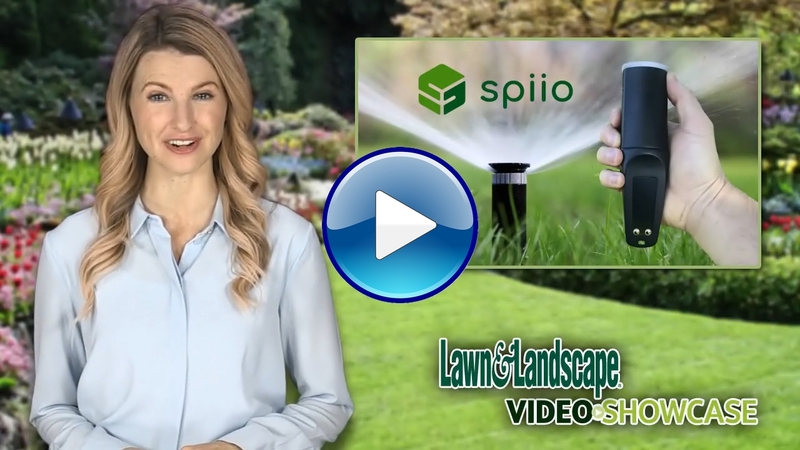 Water Saving Smart Irrigation Products! 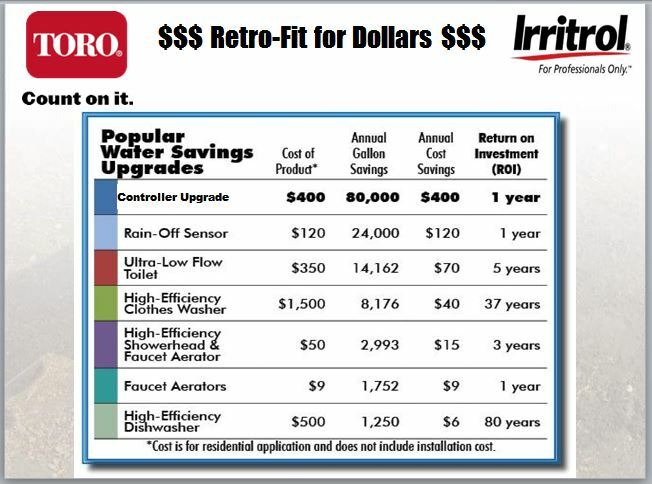 Make your existing lawn sprinkler system "SMART" by upgrading to the IRRITROL Climate Logic Weather Sensing System, TORO Precision Spray Nozzles, TORO Soil Moisture Sensor and RAINBIRD Rotary Nozzles - you will notice a smaller water bill and healthier lawns and gardens! Our mission is to make your NEW or EXISTING lawn sprinkler system efficient, durable and reliable! 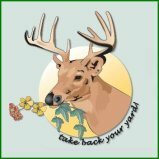 See our coupons page and call us for more information - you'll be glad you did! 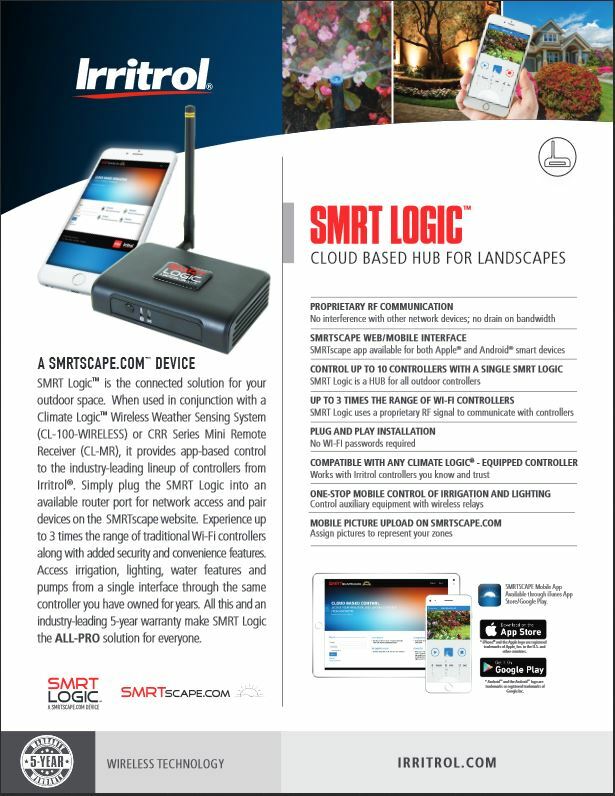 "SMRT LOGIC ONLINE INTERNET CONTROL FOR YOUR IRRIGATION AND LANDSCAPE LIGHTING SYSTEMS!" Works With Your Existing Climate Logic Weather Sensing System! "Climate Logic" Weather Sensing from Irritrol. Coming in 2019! The SP110 Wireless Sensor from Spiio. 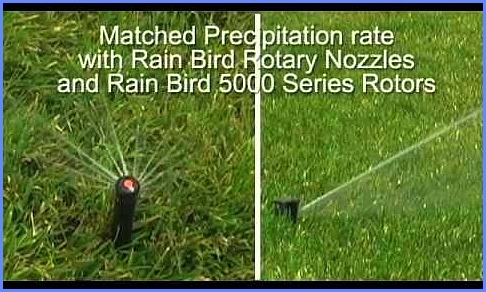 "The Rain Bird 5000 Series Rotor" - The only choice for trouble free operation. Professionals Everywhere Agree-the 5000 Series Leaves all Other Rotors in the Dust! The ONLY spray nozzle that uses 33-50% less water than the completion! Adjustable Nozzles or Standard Nozzles. Ask for TORO PRECISION NOZZLES by Name! Unsurpassed Design Flexibility for any application! Combine it with a Rain Sensor and your old outdated controller becomes "SMART" instantly! Watch the water savings add up FAST! 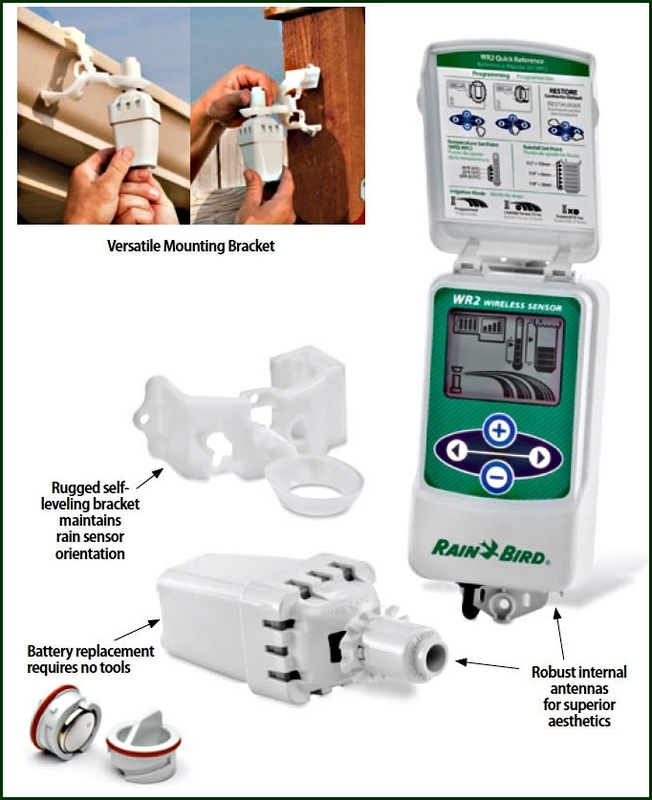 GET A FAST RETURN ON YOUR SMART IRRIGATION UPGRADE!